Frameable Flashbacks! 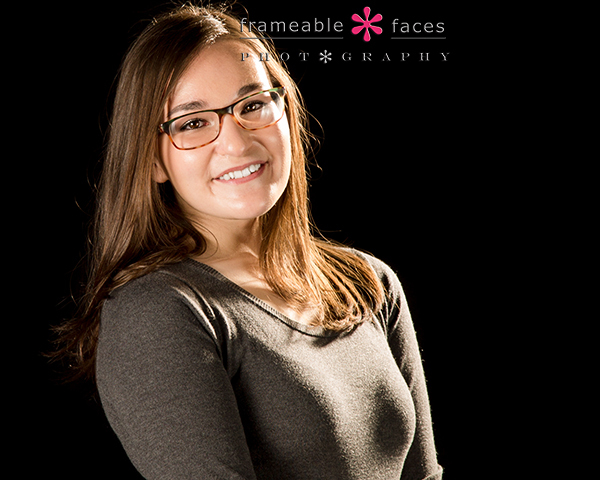 – Our Very First Intern Kim! It has been a while since we have done a Frameable Flashback – kind of our version of “Where are they now?” with our former seniors! The best part of photographing high school seniors for us is the relationships we have with them which continue to grow after they graduate. It’s a thrill to follow their accomplishments and with several of our 2011 seniors graduating this Spring it’s time to check in with a couple of them and see what they are up to. 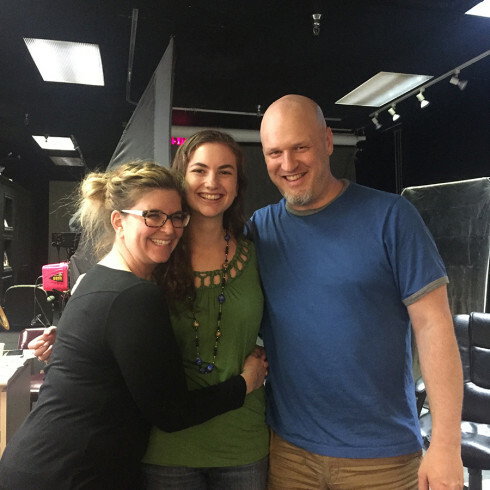 Corrupting Intern Kim – hehe…. 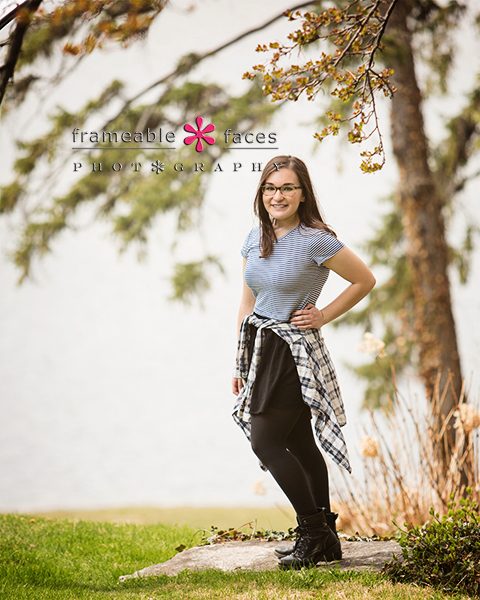 We were pleasantly surprised when we got a call in the Spring of Kim’s senior year asking if we would take her on as an intern as part of a school sponsored senior project, and Kim spent three weeks here at the studio with us. We’ve always joked that we took such a sweet, demure, and innocent girl and totally corrupted her! She was awesome to have around the studio and we’ve stayed in touch with her ever since – following her life at Vanderbilt and overseas in Spain. She even made us paella once! Present Day Hanging Out With Friend Kim! 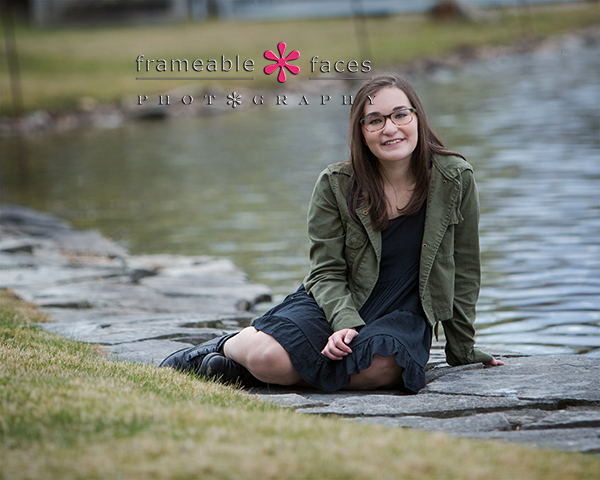 So here we are 4 years later and she’s graduating college which is really hard to believe… that flew by! She visited us yesterday and true to form (she never knows what she’s in for when she stops by) we put her on the spot for a Frameable Flashback! Frameable Faces: So tell us what you’re up to these days Kim? Kim: I graduated from Vanderbilt University a couple weeks ago. I’m home now for a few weeks and then I’m moving back to Nashville. In Nashville, I’m going to spend my days working at the Children’s Hospital at Vanderbilt doing psychology research, and my nights and weekends taking advantage of Nashville’s live music scene and continuing to sample all of the barbecue the South has to offer. 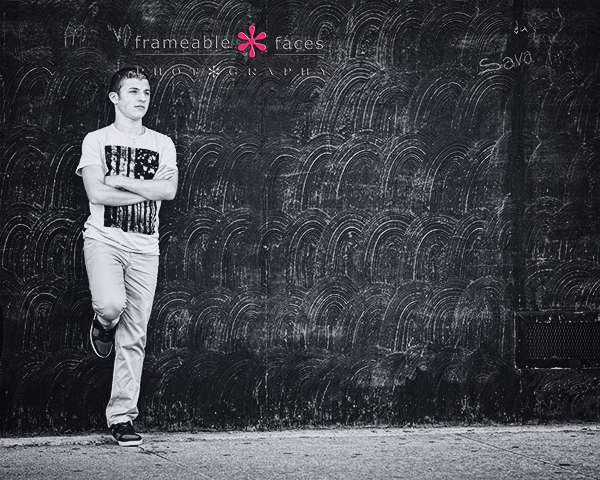 Frameable Faces: That is amazing! And what about the future? What are your plans? Kim: I hope to work for a few years and then do some traveling before going to graduate school for clinical psychology. In the long term I want to be a research psychologist, ideally at a university in a lively city with my family, warm weather, and a Spanish-speaking community that I could work with. 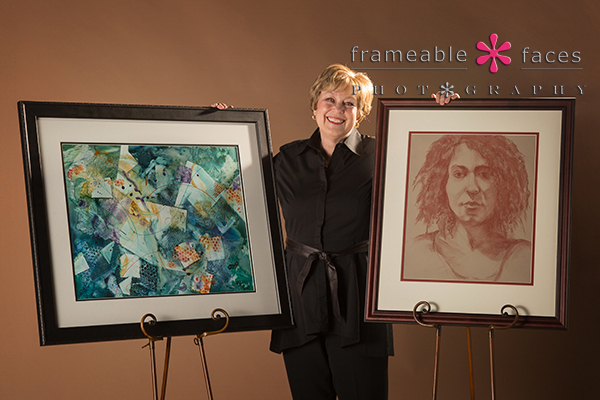 Frameable Faces: Tell us – what was the most memorable part of your Frameable Faces experience? We will always look forward to it too! We are so proud of and excited for Kim and this new chapter in her life! 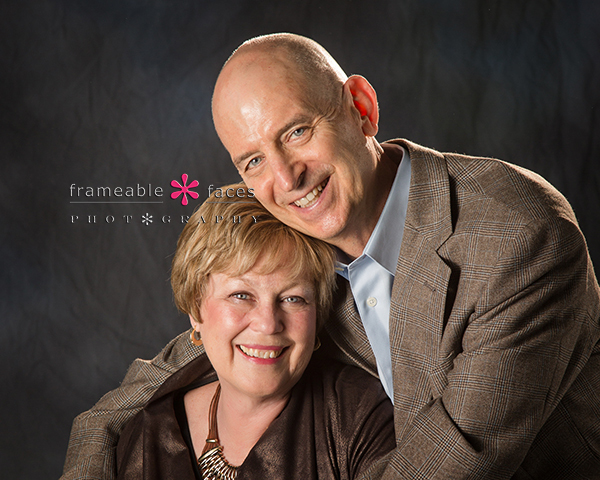 Photographing The Fantastic Family Of An Old Friend! Here we are with back-to-back family sessions on back-to-back days with back-to-back blog posts!!! 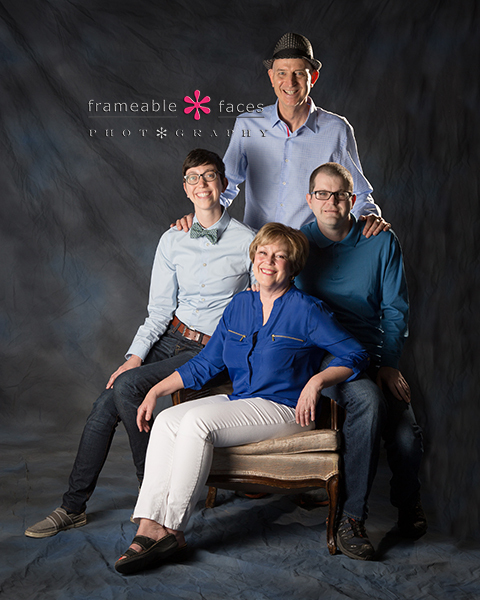 Say that five times fast… Meanwhile this is another fantastic one and in both cases we’ve known the dad of the family outside of the studio so we were excited when they called us to photograph their families. Ally has known Larry from yesterday’s post for a couple years, but I have known Mike from today’s post for about……..40 YEARS! Yes Mike and I go back almost to the beginning to Forest Elementary School and Rolling Oaks / Wedgewood Commons which was the greatest neighborhood, and it was the greatest time to grow up there. It’s always a little surreal to have someone’s family here that you go that far back with. 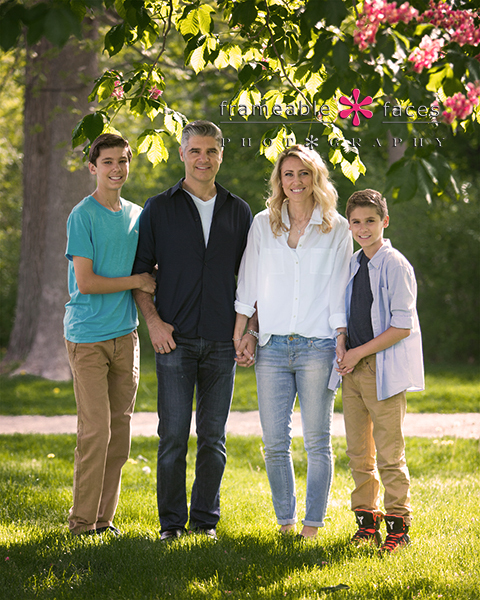 Meanwhile Mike has done really well in the family department – his wife is a sweetheart and his boys are great! So let’s get to the photos! Everything has been blooming which makes for great location shots and the weather held up nicely – we had a mix of clouds to contend with here and there which made for some light changes but we were prepared! Okay let’s take a look at our behind the scenes vine of the day – possibly the most epic vine from a family session we’ve ever posted! Note the #AbbeyRoad hashtag. Haha! So maybe we played in the street a little…. it was totally blocked off so we can assure you no laws were broken nor clients harmed in the making of this next image. So there it is! A fantastic family indeed! We hope you enjoyed the highlights from our morning with them! This Family Is Definitely A Work Of Art! The family is the classic masterpiece isn’t it? 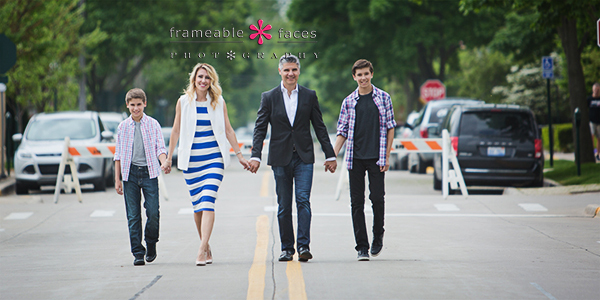 This family session was special for a few reasons. For starters they don’t all live in the same city so when they get together it’s really nice for them, which in turn makes it really nice for us to be a part of. 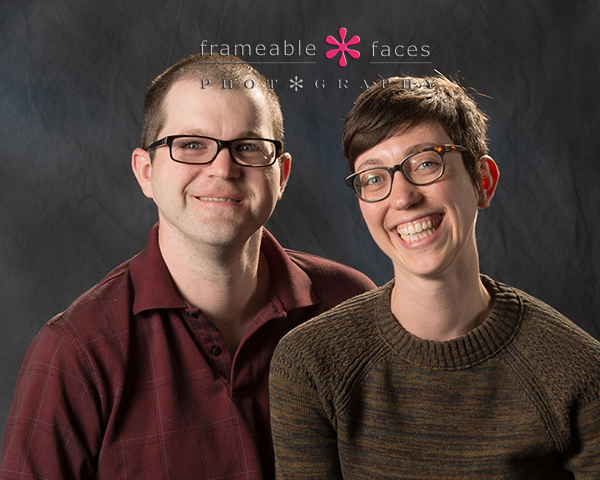 The fact that they would choose to capture the occasion of being together here at our studio is really rewarding for us. In addition, Larry and Ally have gotten to know each other through spinning class and Larry is just a great guy so when he decided to bring his wife Barbara and their kids here we got excited! Ally teaches spinning classes a few times per week and Larry comes to the class and brings a lot of good energy so we knew this session would be fun! 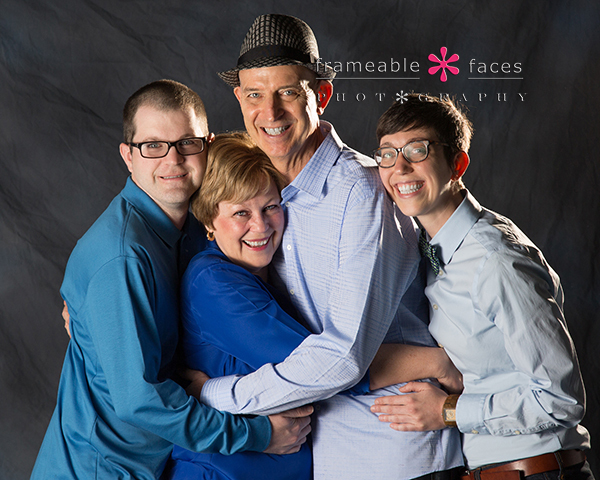 Up next what would a family portrait session be at Frameable Faces without a family hug right? We love the family hug! They really were enjoying being together that day and you can see it! 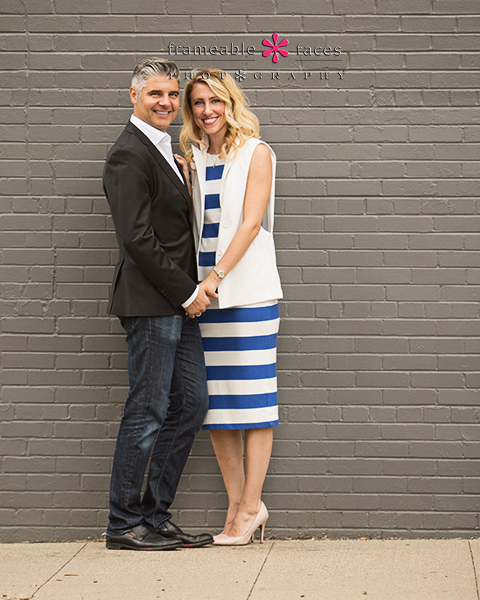 …and one of the happy couple! Now before we share one last bonus photo let’s look at our fun behind the scenes vine of the session! So as you can see in the vine Larry wanted to celebrate Barbara’s art as well so we wanted to share one last photo of Barbara with her work! How cool right? Not sure we’ve done a photo quite like that one – love it. And so there it is – a family that is truly a work of art! We hope you enjoyed the highlights from their session! Love that one – we are particular fans of the black leather look against the black backdrop! 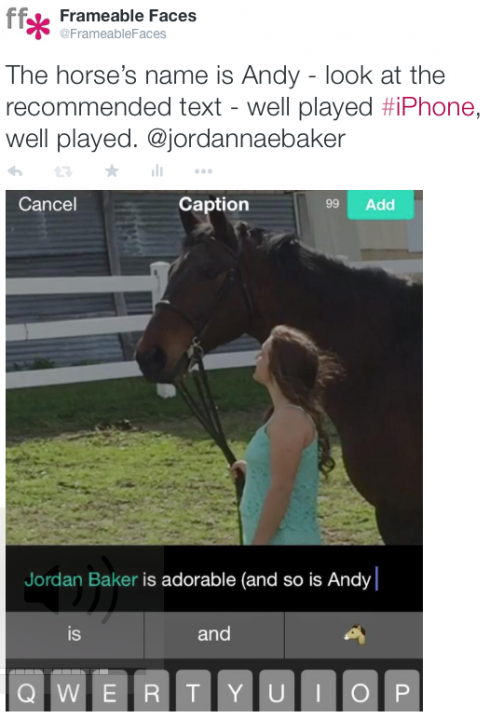 Now let’s take look at our behind the scenes vine of our day with Jordan and here we get our first look at Andy! One funny note about that vine, when I was posting it something happened that I just had to screenshot and tweet… take a look. Haha! Once we were done in the studio it was time to head up to the stable. Jordan’s dad was there so we had the whole family hanging out which was really nice. Obviously this day was all about Jordan, but the interaction between her and Andy was so sweet and you can get a sense for their connection in the vine above and in these next two photos for sure. 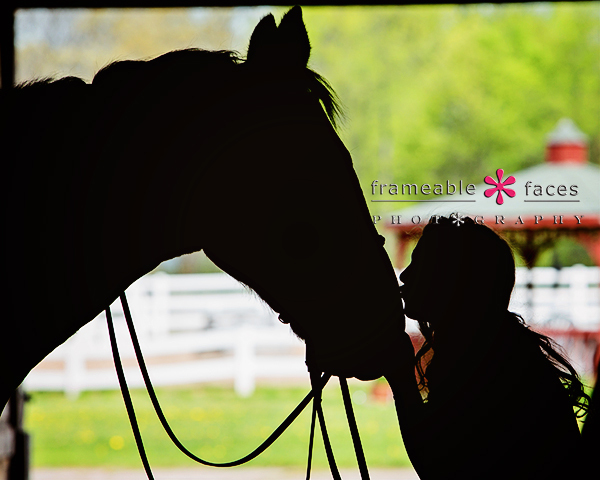 We love the way this silhouette turned out as Jordan gently gives a kiss to her friend. Beautiful right? 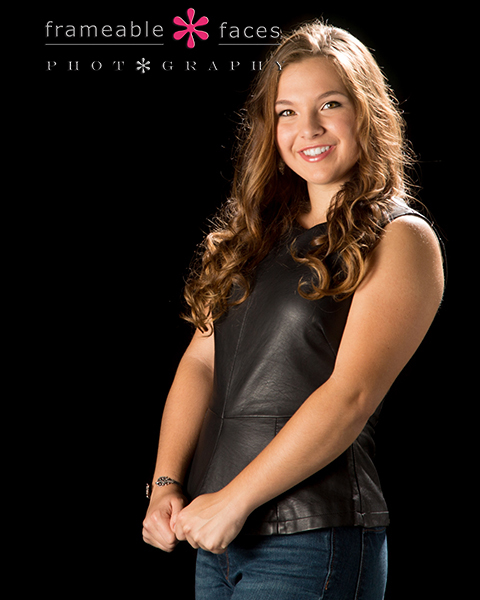 We loved this session, this family, and this girl! We hope you enjoyed these highlights from our day with them! 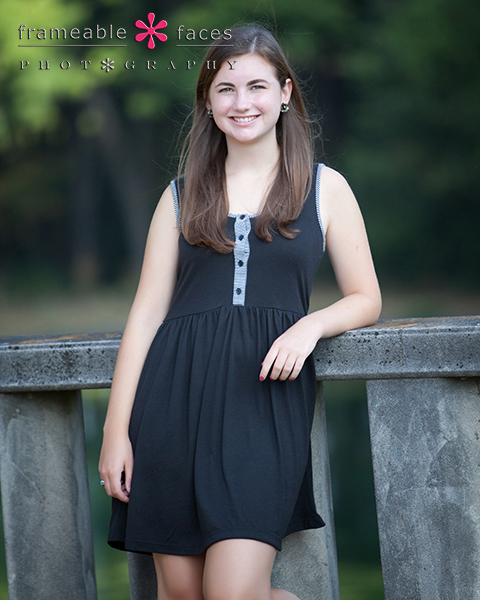 Senior Pictures With Style, Beauty, and Elle-gance! 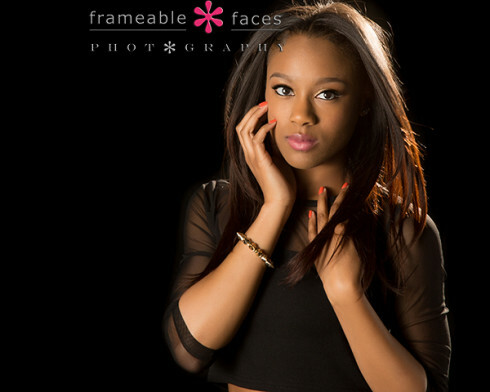 Our session with Elle definitely produced senior pictures with style, beauty, and Elle-gance!!! 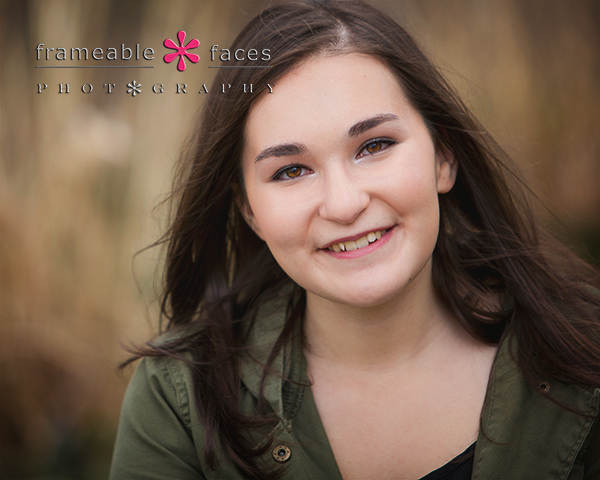 This was technically our fourth time photographing Elle – once with her family a couple years ago, once for her spokesmodel session, once for the mural in our window (sometimes I forget to count that) and now her senior pictures! Anticipation for this session was high, and Elle certainly delivered! 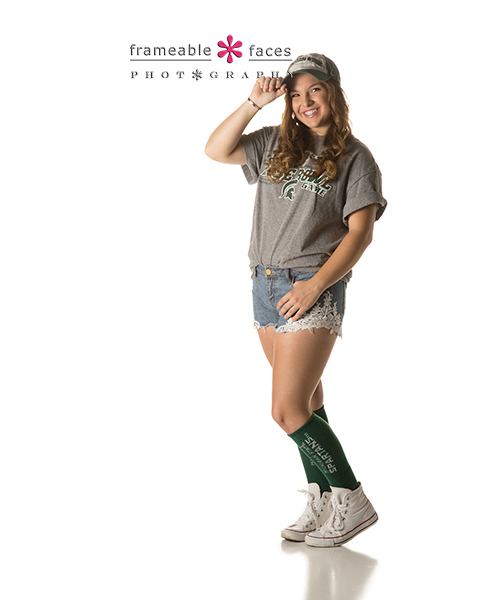 A little side note here – very often we feature both full length and close up photos of our seniors, but these are all full length of Elle because Ally said she just looked so cute and coordinated with her outfits she felt the full length showed off the whole look! Let’s take a look at the first vine from this session… yes a session so nice we vined it twice! Now for vine number two! So there it is – style, beauty and Elle-gance! We hope you enjoyed these highlights from our morning with Elle! 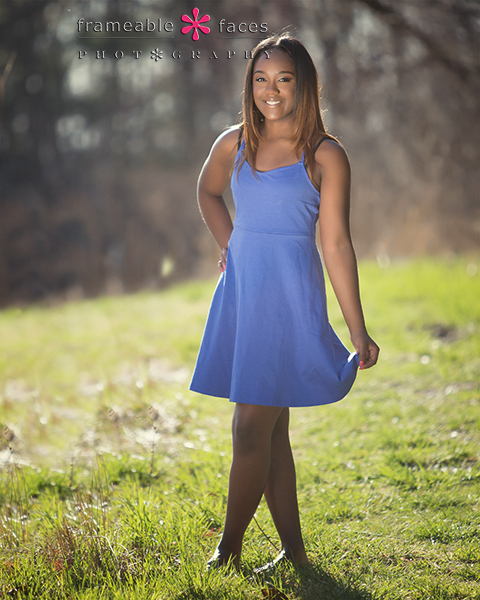 Photographing Devora Was A True Delight! 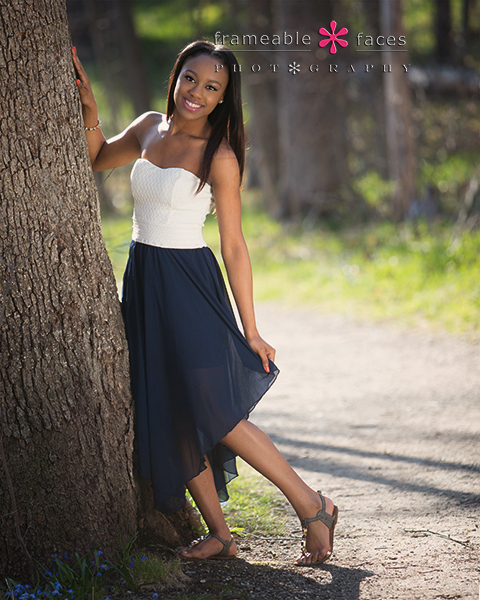 Photographing Devora was a delight indeed! This was actually the second time Devora has been in front of Ally’s camera since we photographed her family a year or so ago. 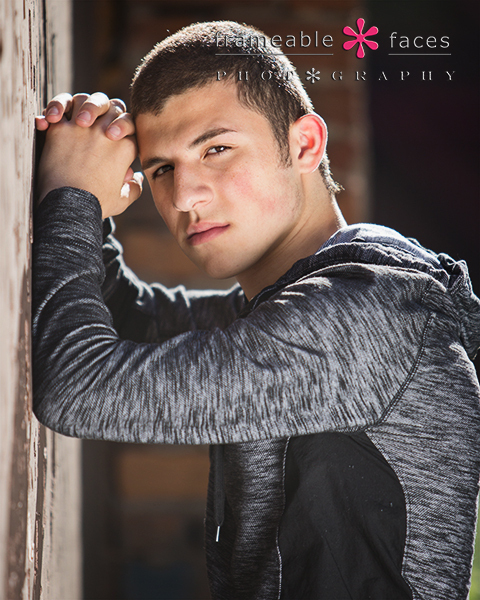 Devora’s family is great and we photographed her older brother Shimmy for his senior pictures as well, so we were excited when we got the call from her mom that it was her turn! So we got a lot done outdoors – very pleased with that! As I mentioned earlier a few of Devora’s friends showed up to “cheer her on” back at the studio – they were pretty funny and it made for a raucous and memorable ending to a fantastic session! So there it is – you can see why photographing Devora was a true delight and we hope you enjoyed the highlights from our day with her! Brad’s Senior Session Definitely BLUE Us Away! 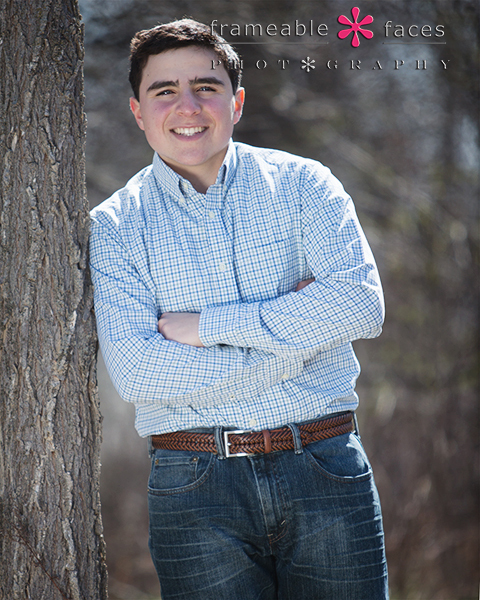 We were pretty excited when Brad’s mom Stefany brought him here for senior pictures because we go way way back with his family – for me personally it’s about 35 years! Brad is a really nice kid and an impressive guy. He’ll be attending The University of Michigan in the fall and it’s always cool when your high school colors match your college ones this closely! 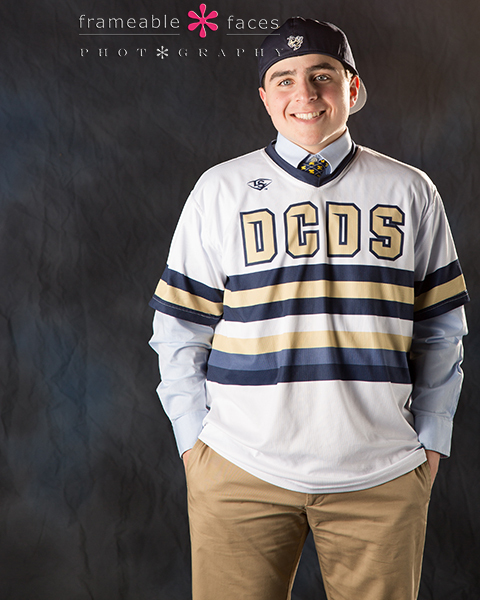 This session “blue” us away since the predominant color is blue – Brad brought his Detroit Country Day navy blue and gold baseball gear which helped bring out his blue eyes for these pictures. So let’s take a look at a few of them shall we? We got some great stuff on location so it was time to head back to the studio. We love the combo you see in the vine with the khakis and the baseball gear (note the shirt and Michigan tie under the jersey) – here’s a great one with the cap turned around. Fun! So there you have it! 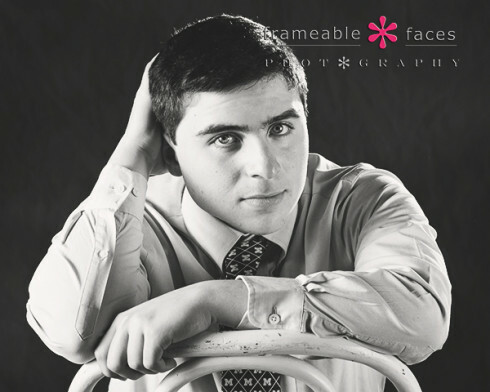 Another fantastic senior session as we start winding down on the class of 2015 and start gearing up for the class of 2016! Best of luck to Brad and we hope you all enjoyed the highlights from his session! 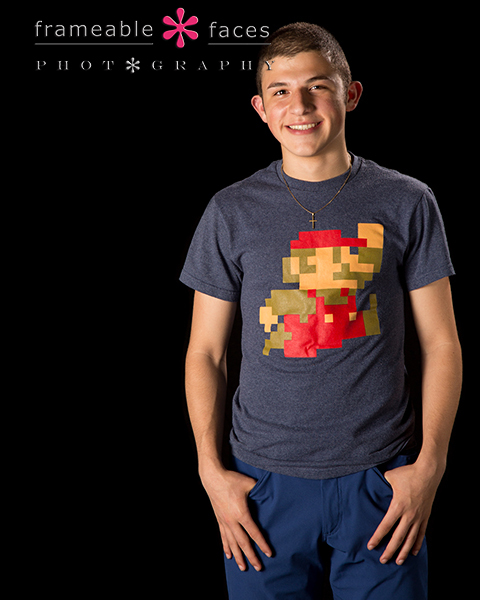 Super Mario And His Super Spokesmodel Session! Some blog post titles just write themselves…. Yes this kid is one of a kind. We had been following each other on Instagram for a while from afar and when we reached out to Mario to discuss representing our studio as a spokesmodel he was totally prepped and ready. He knew our other spokesmodels already and was pretty well versed on our studio and how we roll. What an impressive young man. 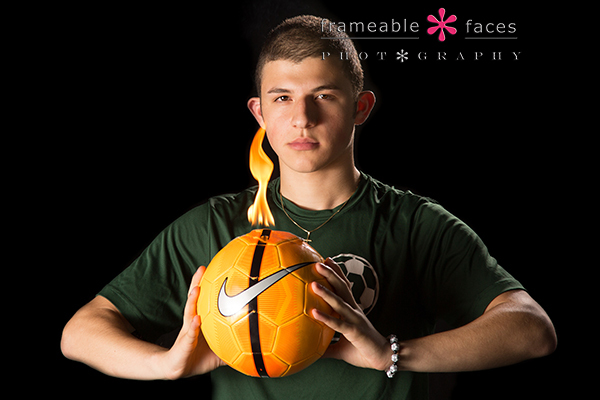 Personable and funny, we had an absolute blast on his spokesmodel session! Next up was the “Super Mario” segment of the session where Mario came prepared with his Super Mario shirt! Hilarious… We even put on the Super Mario music while we broadcasted live and people were cracking up. Cool right? 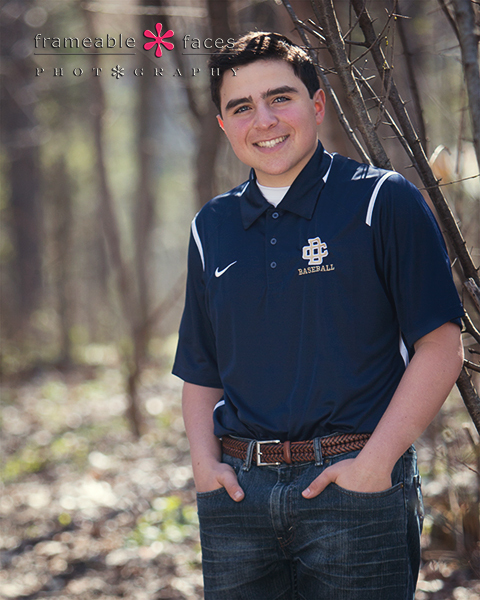 Mario is a cool guy and we couldn’t be more excited to have him on board representing our studio for the class of 2016! We hope you enjoyed these highlights from our day with him! 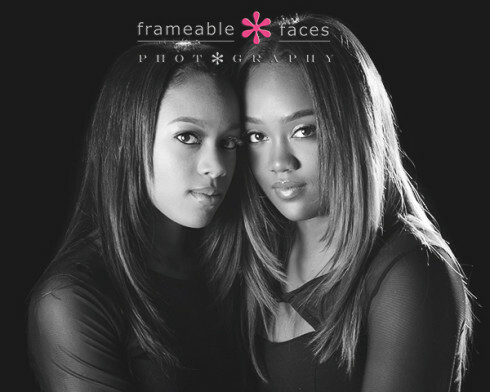 Twin Sister Senior Time Part Two – Cierra’s Turn! Welcome to part TWO of twin sister senior time! 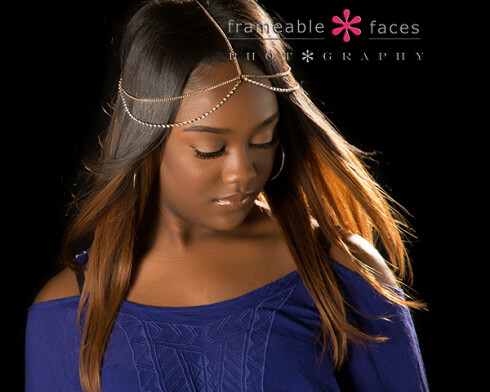 If you joined us yesterday you saw part one of this beautiful twin sister senior photo session which focused on Tierra, and today as promised we are flipping it! Today we’ll be featuring Cierra with a special return guest appearance by Tierra in a photo of them twinning on location! I wrote at length yesterday about how fun it is to be with twins and now I’m thinking about another fun benefit of working with twins – we get to blog about them twice which gives us an excuse to show off more of the session! 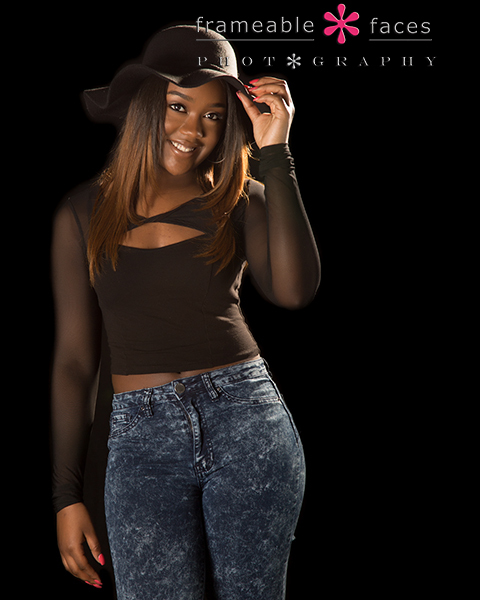 This next outfit still on the black background is fun with the cute hat for this playful pose! Let’s now bring Tierra back in and take a look at another photo of the twins together at the entrance to one of our favorite bridges, although technically it’s a platform I guess since it ends and doesn’t lead to the other side… ha. Love that photo, and let’s take a look at a “bonus” vine of the twins together! So that will do it – we hope you’ve enjoyed both of these posts highlighting the twins. We certainly had fun working with them! 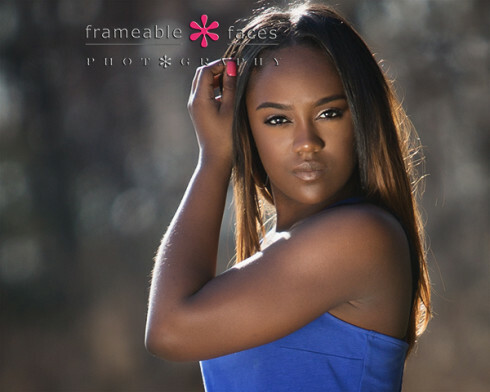 Twin Sister Senior Time – First With Tierra! We love twins – no really we love twins! 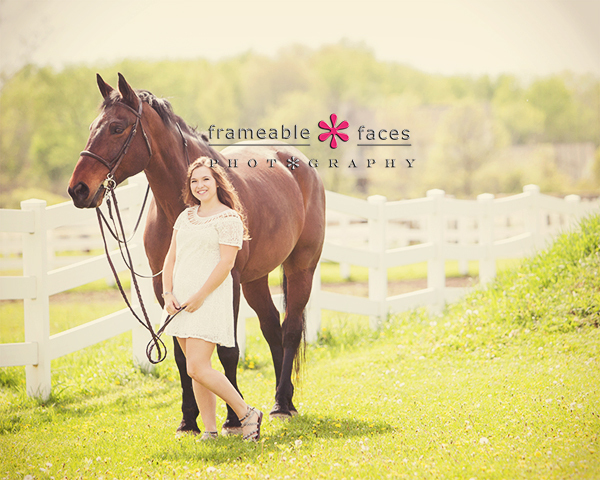 They have a special bond and senior pictures are so much fun and such a big milestone. So when any senior comes in for pictures it’s a big deal and it’s one of the things we love most about our “jobs”, but with twins we get to spend a full 5+ hours with them which gives us a window into their relationship that makes for a memorable day every time. While we’re on the black background let’s bring in Cierra for a black and white close crop of these beauties together! So there you have it – twin senior sister time part one! 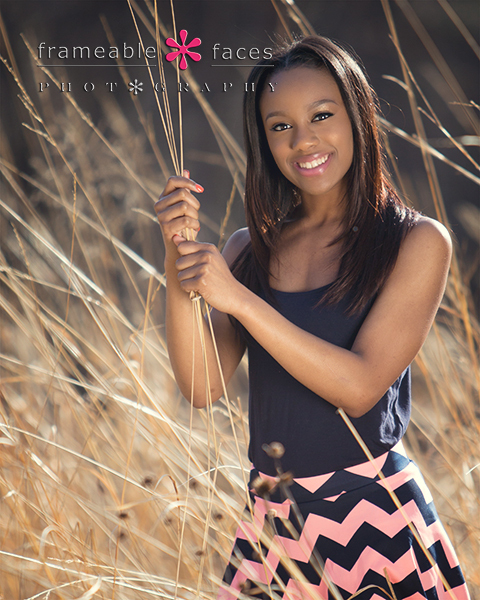 We hope you enjoyed Tierra’s pictures and be sure to return tomorrow for part two with Cierra!